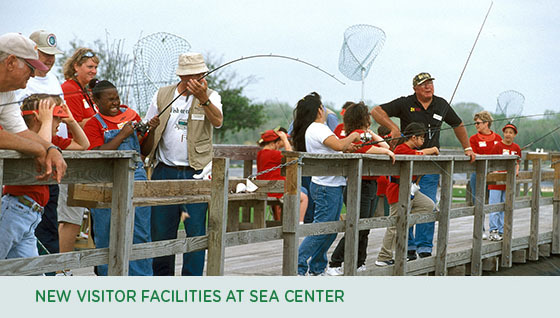 Sea Center Texas in Lake Jackson is the world’s largest redfish hatchery and features a visitor center that educates through a “touch tank” and aquarium exhibits. The center’s wetland area is part of the Great Texas Coastal Birding Trail, where more than 200 species of birds have been identified. Thanks to a generous donation from Phillips 66, many improvements are taking place. A renovated and expanded boardwalk through the popular wetlands area is now available for visitors to enjoy. These enhancements will improve the visitor experience, promote greater use of the recreational areas, and will provide more space for educational activities and outreach events. Improvements to a recreational fishing pier have also been completed, improving access for anglers and paddlers. Now in the works at Sea Center are new outdoor education facilities and an observation deck, which were also funded by Phillips 66. Those new facilities will be finished up this summer and will be ready for the next school year. Conserving marine resources is the top priority for the Coastal Conservation Association, an organization that got started in Texas. CCA’s national president, Pat Murray, is passionate about fishing and making sure that healthy marine resources are here for future generations. 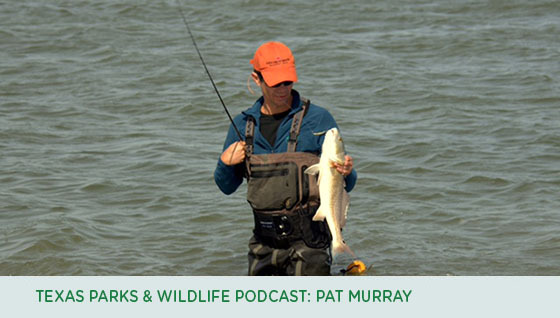 Pat joined us for the May edition of the Texas Parks and Wildlife podcast to discuss the new artificial reef and other coastal issues on his mind. Texas filmmaker and photographer Ben Masters will be featured at the Rewilding & Protecting Wildlife Worldwide art event in Austin on May 11. 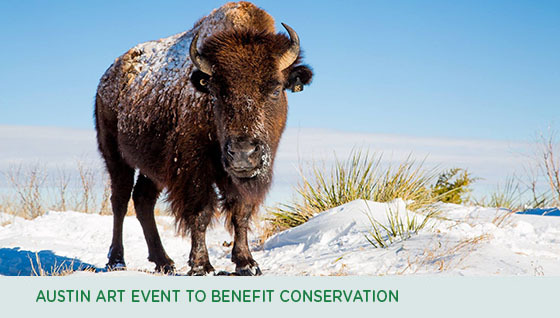 The event will benefit conservation organizations, including TPWF. Masters is one of five artist/photographers whose work will be displayed. The image above is one of the works that will be available for sale.